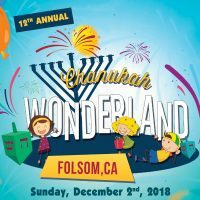 Now in its 12th consecutive year, the Chanukah Wonderland event is recognized as the premier family Chanukah event in the Sacramento region! Families from every segment of the community are invited to join! -Chanukah gift shop, and more!